Precious metal weight Platinum +-8gr, 18ct gold +-7gr, 9ct gold +-6gr. Weights may vary due to central diamond size and finger size. The perfect ring for your perfect lady. 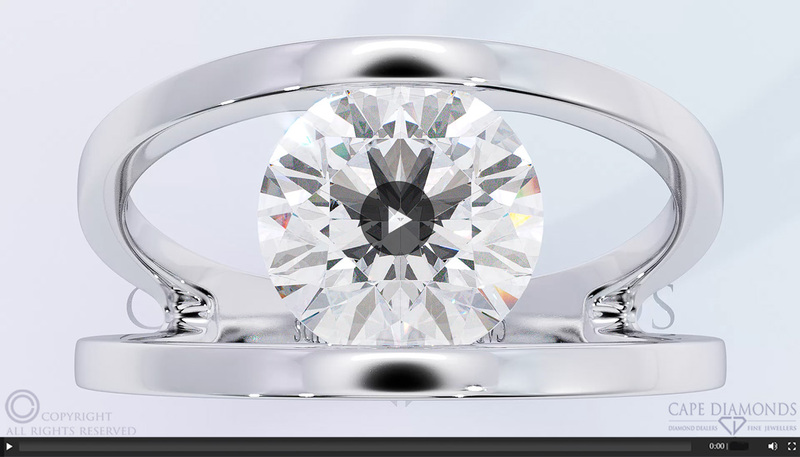 A pristinely round cut diamond neatly placed in the centre of a gorgeous split band mastercrafted just for you. 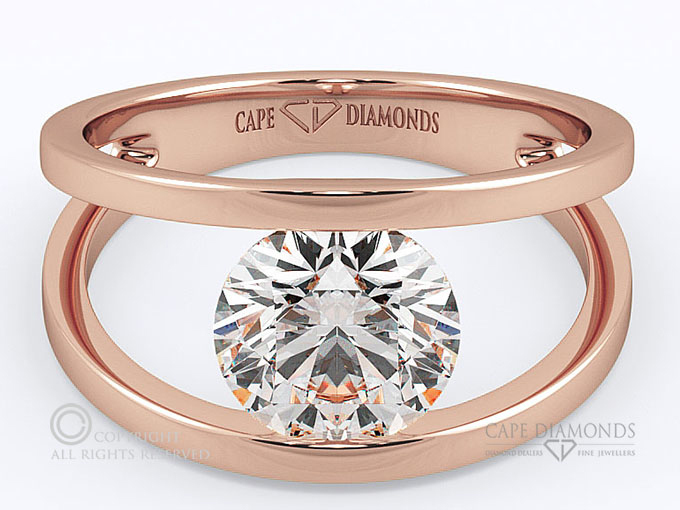 Outstanding representation of the finest jewellers, Cape Diamonds. 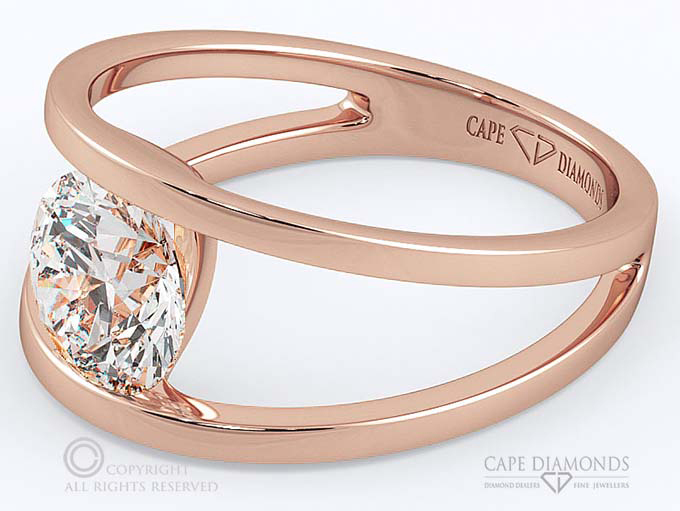 It’s the only one for you of all the jewellers that manufacture engagement rings within Cape Town mertopolitan. 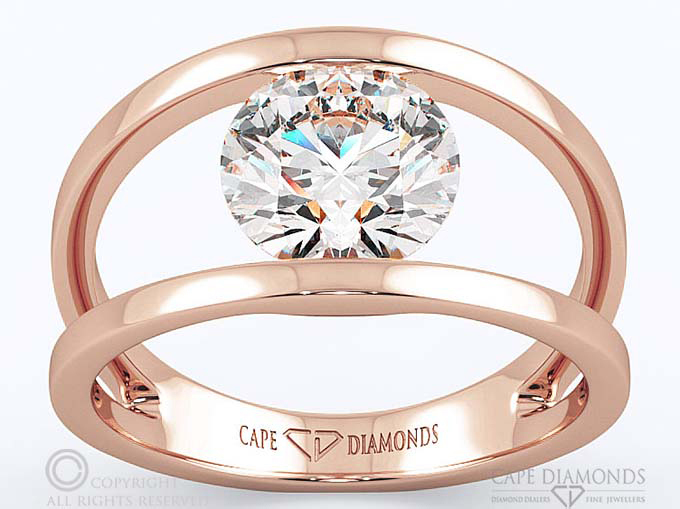 All designs are exclusive to Cape Diamonds, a leading jeweller and diamond dealer specialising in high quality gold and flawless fine diamond pieces. All our diamonds are delivered in beautiful boxes and are certified. We deliver around South Africa including Cape Town, Stellenbosch, Port Elizabeth, East London, Durban, and Johannesburg. Contact Cape Diamonds to make your purchase.